A few weeks ago, I went to London by train. My only and final destination was about four stops from Euston Station but I had to buy a Day Travelcard for Zones 1-6 even though I was only travelling within Zone 1. It turned out that Zones 1-6 travel card is cheaper than Zones 1-2. Go figure! Anyway, I was due to return home early evening, providing the opportunity for that travel card to be used all over London, stopping in as many places as was possible up to 12.00 midnight. So of course the logical thing for me to do was find someone to whom I could bestow this wonderful gift: providing me with the glow that comes from doing good; saving someone £8.90; and then there is the fact of saving the small branch that would have gone into producing the card. 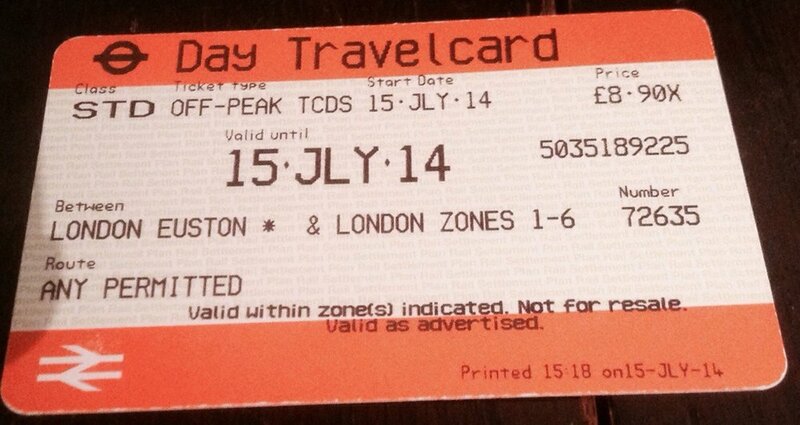 So with a spring in my step and a smile on my face, I proceeded to give away my travel card. I made sure to only offer it to people who were going down the escalator and who I knew didn't have an Oyster or Travelcard because I could see them getting money out. Well, here is what happened. One looked aghast at me as though I was begging for money and shook her head furiously. I was surprised, but not deterred. The next one looked wildly around as though to call security . WHAT!! I am being kind here, people! So things ARE not going well, but I thought I would give it a final try before I missed my train. I offered my ticket to yet another person, who was actually about to BUY the same ticket. I explained I wasn't begging for money or selling the ticket. It was FREE. She looked at the card, looked up at me, said she would rather buy her own and promptly turned away! Not even a simple no thank you. I returned home and pondered on how mistrusting people were. Was is just London, or perhaps at the risk of generalising, just Euston Station? I told this story to a couple of people and they didn't seem surprised. Was it just me? Was I being naive? However, before I could lose my hope in simple kindness and connection, the very next morning at the supermarket, I saw a man looking at me. Soon he came over and said 'Do you know those grapes are 2 for 1? You should get another one.' And he smiled. YES!! Humanity can be redeemed!